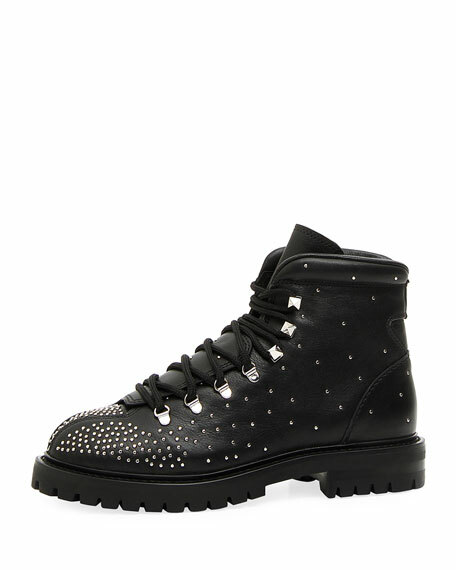 Valentino calf leather hiking boot with allover microstuds in gradient formation. 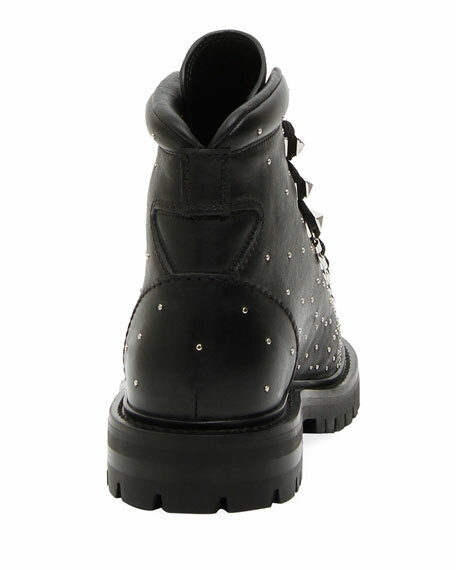 0.8" stacked heel with platform. 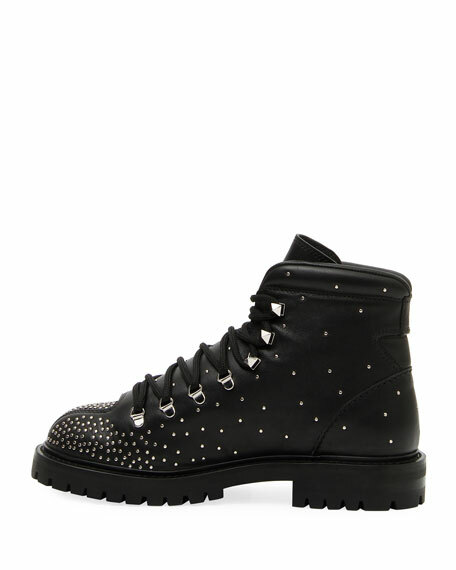 Lace-up vamp with signature Rockstuds.